We have an exciting new postdoctoral research position in our group on nonlinear optoacoustics and Brillouin scattering in nanoscale waveguides. An 18 month fixed-term position is available in the Department of Physics and Astronomy at Sydney’s Macquarie University for an exceptional early career researcher in theoretical nonlinear optics, opto-mechanics or integrated quantum photonics. 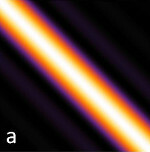 This position is funded by the Australian Research Council Discovery Project “Better vibrations: mixing light and sound in semiconductor chips” which seeks to make major advances in the foundations and applications of nanoscale guided wave opto-acoustics, and particularly Stimulated Brillouin Scattering (SBS). This project is part of a long-term collaboration between Professor Michael Steel at Macquarie, A/Prof. Christopher Poulton at the University of Technology, Sydney (UTS), and Laureate Professor Benjamin Eggleton of the University of Sydney. The applicant will perform theoretical physics research on the nonlinear interaction between acoustic and optical waves in photonic waveguides and nanostructures with a focus on enabling efficient opto-acoustic interactions in nanoscale semiconductor waveguides. Questions to be explored include the development of the fundamental dynamical equations for waveguide Brillouin scattering that include all relevant semiconductor physics; finding new approaches to the challenge of joint confinement of light and sound in semiconductor devices; exploiting non-uniform anisotropy and nonlinearity to relax the requirements for efficient Brillouin scattering; and extending the theory of guided wave Brillouin scattering into the quantum regime. This theoretical role will involve close collaboration with experimental researchers and students at Macquarie, UTS and the University of Sydney. The successful candidate will also be a member of the world-renowned Centre of Excellence for Ultrahigh bandwidth Devices for Optical Systems (CUDOS), the largest optics research program in Australia. Click here for details on the position and to apply. Applications close July 31 2016. The CUDOS team at Macquarie University is always looking for strong students in optics, physics and optical engineering. We have projects available in theoretical nonlinear optics and quantum optics, experimental quantum optics, femtosecond laser direct writing, and plasmonics, or projects that address several of these at once. Full scholarships are available for suitably qualified candidates. See the information on the Contact page for details on how to obtain further information. 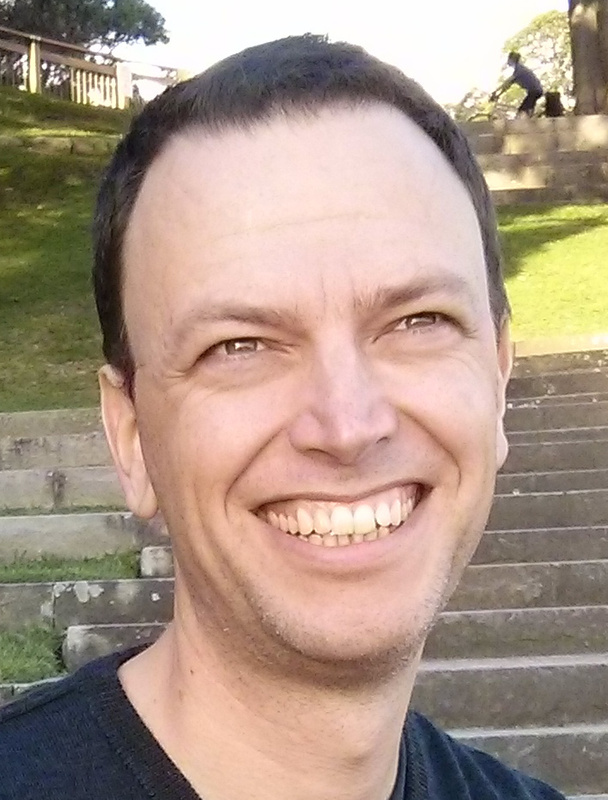 Why do a PhD or Masters of Research within CUDOS at Macquarie? Full membership of CUDOS, Australia's premier research body in photonics and integrated optics. Support for travel to offsite annual workshop, topical workshops and international meetings. Generous individual research support budget for equipment and travel. Access to a huge suite of highly advanced fabrication and characterisation labs. PhD scholarships for domestic and international students include nearly $25,000/year for living expenses and all program fees for the duration of the project. Certain projects have an allocated scholarship, others can attract a domestic or international scholarship. Application instructions are available here (international students also see this page), but first please contact us within CUDOS. Certain scholarships are only awarded once a year, but you can contact us at any time. Note that evidence of a high standard of spoken and written English is a condition of acceptance. Macquarie University also runs cotutelle and joint-PhD programs, which allows PhD students to be affiliated with Macquarie and another university overseas. While the discipline of quantum optics is 50 years old, the past 5 years has seen a revolution as quantum experiments involving photons have moved from bulk optics with lenses and mirrors into integrated photonic circuits. Chip-based technologies allow us to incorporate dozens of optical components into solid state devices of just a few square centimetres. 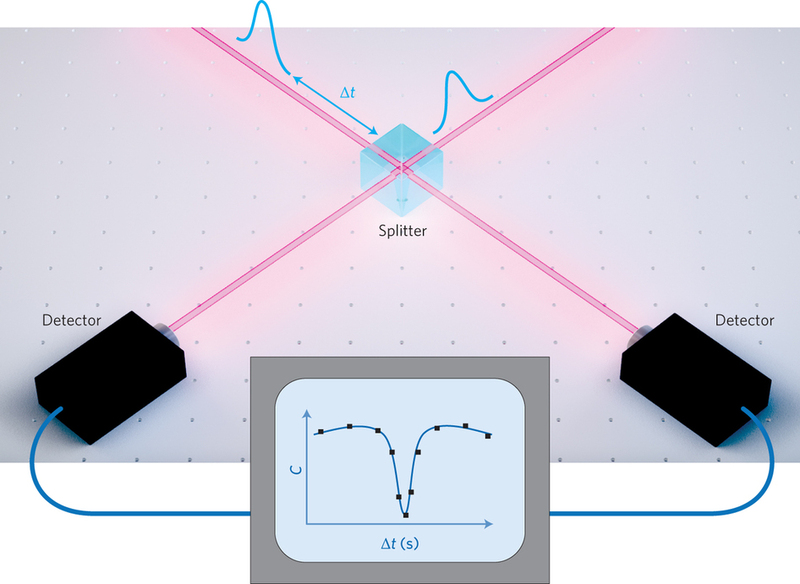 This transition is key to harnessing photons for applications in quantum information including secure communication, ultra precise metrology, quantum computing and fundamental tests of quantum mechanics. 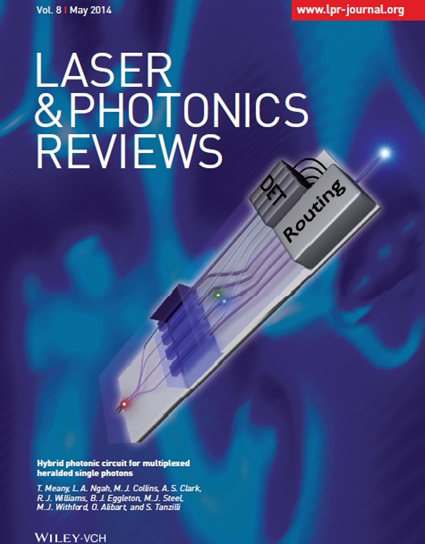 Our research addresses these challenges at the interface of nonlinear photonics and quantum optics. Our theory program studies the basic physics and design of on-chip sources for making non-classical states of light through nonlinear processes involving random fluctuations of the quantum vacuum, as well as complex circuits for multiphoton quantum walks and other quantum processing. In the laboratory, we are using waveguide writing by high power femtosecond lasers to develop both photon light sources and three-dimensional circuits that are completely contained in single chips of glass. We have research student opportunities for mathematically-inclined theorists, highly practical experimentalists and people anywhere in between. We are currently seeking several talented and motivated PhD candidates to conduct theoretical and experimental work in the areas of integrated and nonlinear quantum photonics. These exciting new disciplines aim to bring the ideas of quantum optics, quantun information and entanglement to the powerful platforms of integrated optics. In this way we hope to achieve extraordinary new limits in measurement, communication, computation and simulation of other quantum systems. 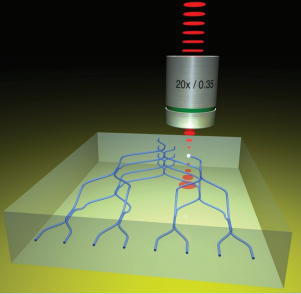 In recent years our quantum program, coordinated by Professor Mike Steel and Professor Michael Withford in the Department of Physics and Astronomy at Macquarie University, has achieved a number of significant milestones in this field, including the first quantum photonic circuit created by femtosecond laser writing, the first 3D integrated quantum photonic circuits, and the first multiplexed photon pair source in a quadratic nonlinear material. On the theoretical side we are developing powerful new mathematical descriptions of the generation and processing of few photon states of light. We have projects available in both theoretical and experimental work. Projects combining theory and experiment are also possible and encouraged. 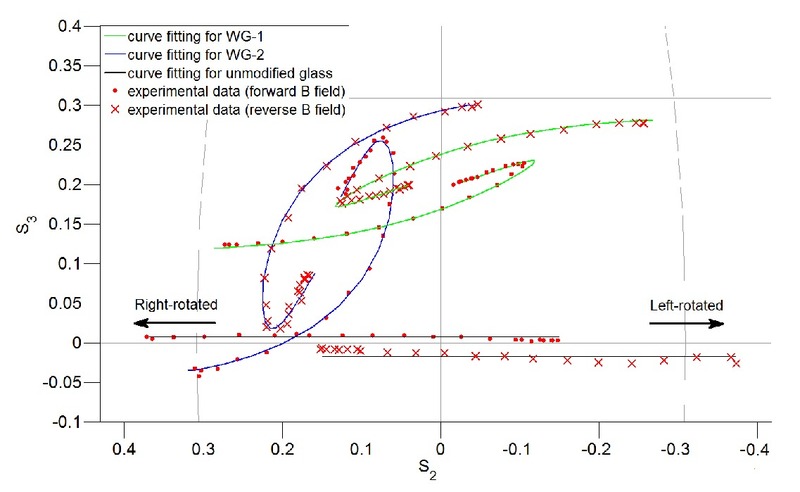 We wish to develop new single photon sources in very highly nonlinear glasses and to create exotic entangled photonic states in integrated waveguides. Such sources are vital to enable the next generation of experiments in optical quantum computation and quantum simulation. This project will involve the use of highly sophisticated femtosecond laser writing systems and quantum characterisation equipment including a large array of single photon detectors. Students interested in these projects should have some experience in experimental optics and photonics and ideally some knowledge of quantum optics or quantum mechanics. 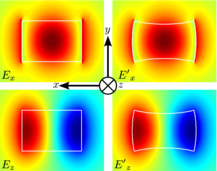 Theoretical and experimental two-photon wavefunction from a silicon photonic crystal. 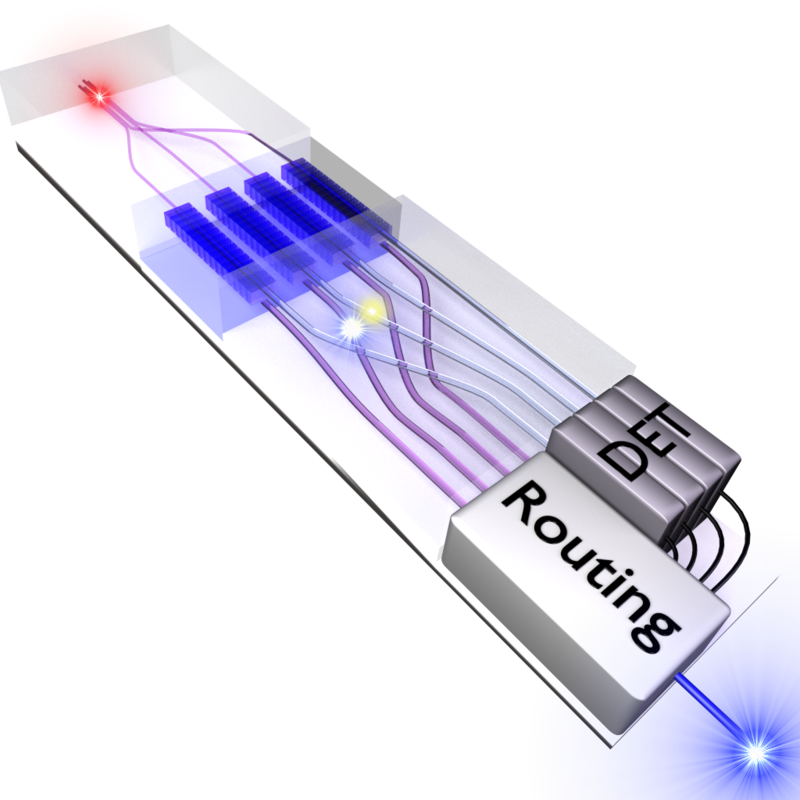 This project aims to describe and exploit photon generation driven by non-classical light sources, and nonlinear quantum optics at the very few photon level. The student will explore the generation, manipulation and detection of unusual states of light as enabled by integrated waveguides and optical resonators. There are also connections to the areas of quantum walks and simulation. We also have opportunities to examine the control of entanglement and distinguishability of quantum photonic states through nonlinear optical effects. This work will be performed using the powerful theoretical tools of nonlinear quantum optics and field theory and the student will interact closely with experimental teams at Macquarie and elsewhere in CUDOS. These projects require high level of skill in analytic and numerical mathematics and preferably some experience in modern formulations of quantum optics or quantum mechanics. Our facilities include start-of-the-art labs incorporating three high-power femtosecond laser systems, advanced quantum light sources and single photon detection systems, nanometric 3-D positioning systems, state of the art micro-optical characterisation facilities, and access to the leading supercomputer sites in Australia. You will be an active participant in CUDOS, a world-renowned partnership of seven universities that is the premier photonics research program in Australia and provides substantial opportunities for international research collaboration, networking and future employment in academia and industry. The entire program in photonics and quantum science Macquarie University is located on a large green campus in the northern suburbs of Sydney, one of the world's most beautiful and exciting cities. For further information on the above and other projects please contact Professor Mike Steel (michael dot steel at @mq dot edu dot au) and visit the research pages on this site as well as the main CUDOS site.